IP24 axial fan that fits unobtrusively into a wall or ceiling. The tile design allows the fan to blend into the decor of the room. HWD: 140 x 140 x 105mm. 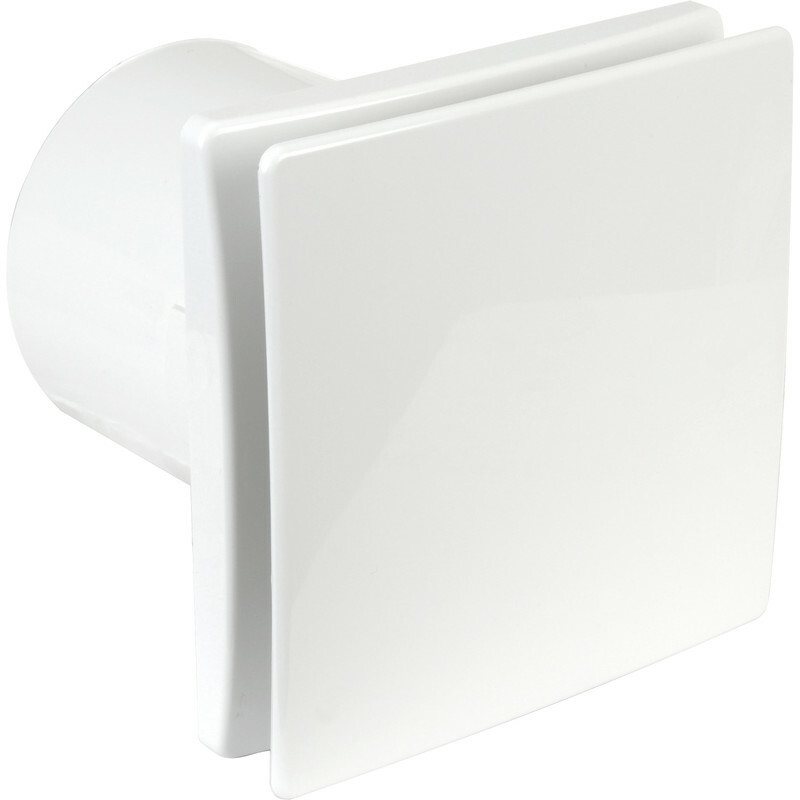 Airvent 100mm Tile Extractor Fan Humidistat is rated 3.4 out of 5 by 7. Rated 4 out of 5 by pj13 from nice looking fan Bought this for a coustomer it does not look obtrusive fits in well with white tiling. Rated 3 out of 5 by Warp from Look solid, works well, but not quiet. I bought the 100m Tile Extractor fan w timer to replace a combined fan halogen light unit that had worn out and was causing excessive noise. It looks solid and was easy to fit. Does not include adjustment for high - low speed, and noise, setting as advertised, but does include rotary adjustment for 1 - 60 min timer. Rated 5 out of 5 by Md electrical from Great product looks more expensive that it is @ Great product looks more expensive that it is! Thank's! Rated 1 out of 5 by Dmitry from Humidity sensor didn't work for me. Installed it, connected it, but the fan kept spinning constantly. I followed instructions in setting up the timer and humidity sensor but I couldn't. The fan kept spinning. Had to return it back.